Dogs & Puppies Drawing & Activity Book teaches young artists to draw 16 beloved dog and puppy breeds by tracing, grid drawing, and step-by-step drawing. Dogs & Puppies Drawing & Activity Book teaches young artists to draw 16 beloved dog and puppy breeds by tracing, grid drawing, and step-by-step drawing. 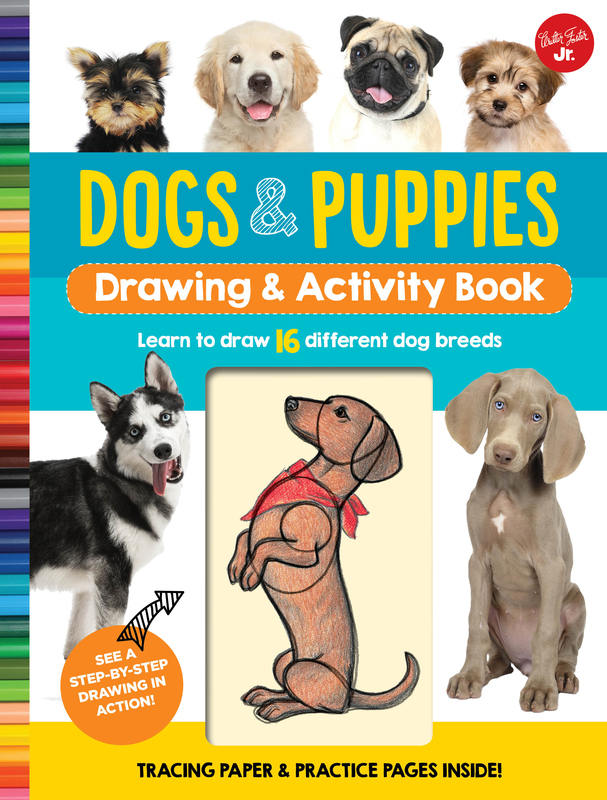 With this interactive drawing book, aspiring young artists will discover just how easy it is to draw 16 different breeds of dogs and puppies of all shapes, sizes, and colors! From the small and sassy to the big and burly, theres a breed for everyone. Dogs & Puppies Drawing & Activity Book comes as a 64-page, spiral-bound book which teaches young artists to draw through three different methods: tracing, grid drawing, and step-by-step drawing. Each method features easy-to-follow instructions and shows how each step builds upon the next to create a finished piece of art. Fun facts and interesting tidbits of information about each breed are also sprinkled throughout each project. With the included tracing paper and plenty of practice pages, Dogs & Puppies Drawing & Activity Book will help budding artists create perfect puppy portraits!